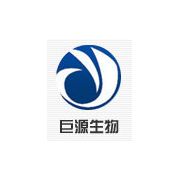 ﻿ Xinxiang Juyuan Biological Technology Co., Ltd.
Xinxiang Juyuan Biological Technology Co., Ltd.
is specialized in the manufacture, research and development of pharmaceutical intermediates and fine chemicals, such as Meropenem, Biapenem ,and series intermediates of Penem. Xinxiang Juyuan Biological Technology Co., Ltd.is specialized in the manufacture, research and development of pharmaceutical intermediates and fine chemicals, such as Meropenem, Biapenem ,and series intermediates of Penem. Main products include: 2,2-Dimethyl-1,3-dioxane-4,6-dione, Mono-4-nitrobenzyl malonic acid ester, Ethyl 7-chloro-2-oxoheptanoate, 3-(2-Bromo-1-oxopropyl)-Spiro[2H-1,3-benzoxazine-2,1'-cyclohexan]-4(3H)-one, (S)-(+)-2,2-Dimethylcyclopropanecarboxamide,2-Bromopropionyl bromide, side chain for meropenem, Side chain for biapenemEtc. The company is located in the economic development zone in Xinxiang City, Henan Province, enjoying a superior location and convenient transportation. The company is armed with top-notch technicians, advanced production equipments and testing instruments as well as perfect Q.C. system. Products are sold not only around China, but also to Europe and the US as well as the Asia-Pacific Region.